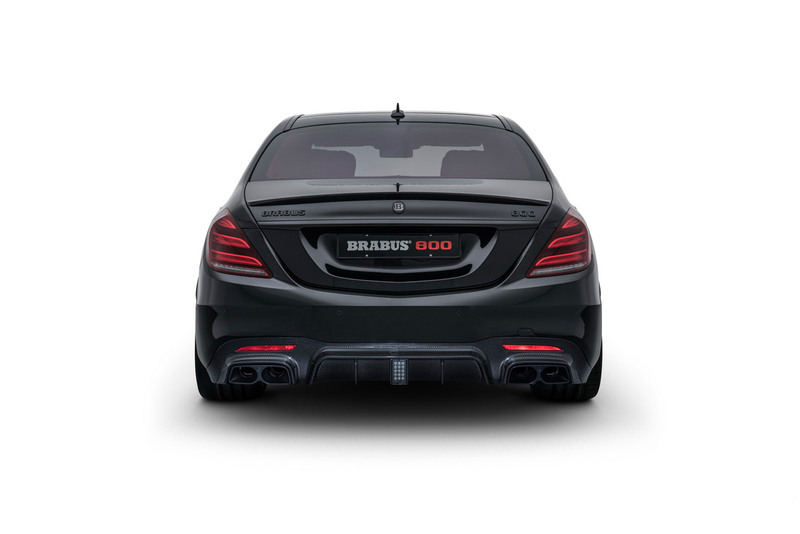 (62 mph) in just 3.1 seconds. 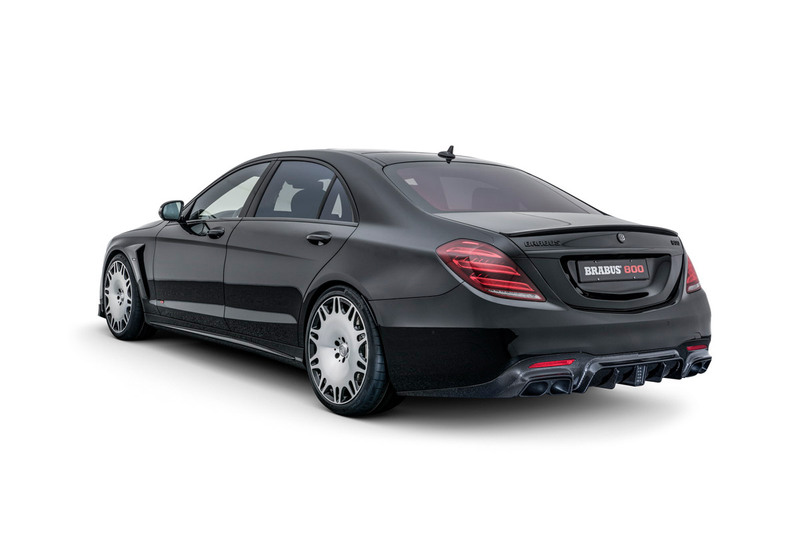 The standard-spec 4MATIC+ all-wheel drive ensures outstanding traction. 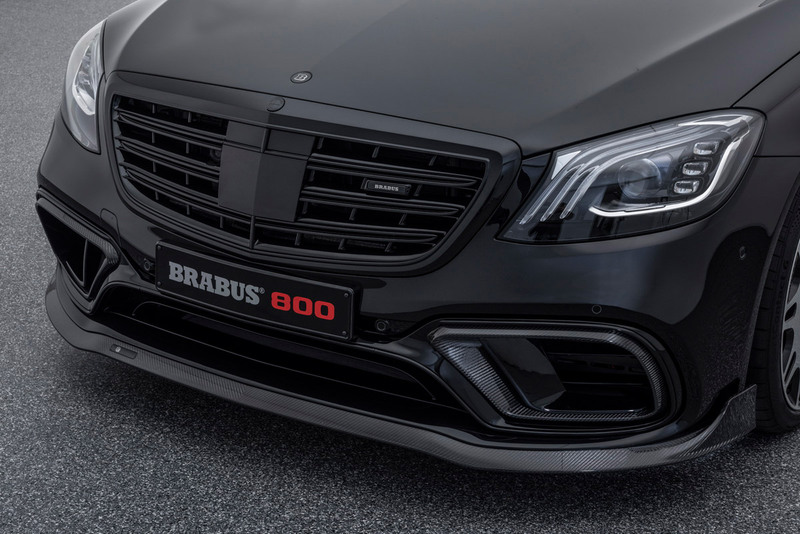 The nine-speed automatic transmission changes gears automatically or can be shifted manually with the BRABUS RACE aluminum paddle shifters. 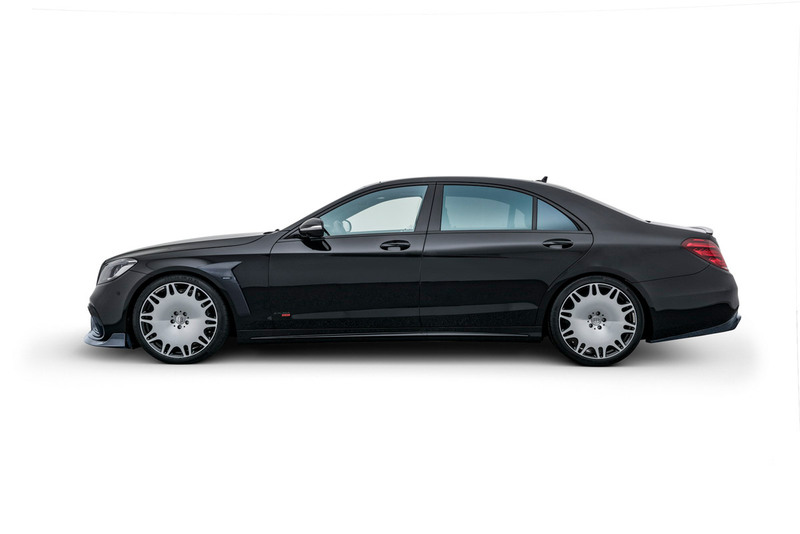 The top speed is 300 km/h (186 mph). 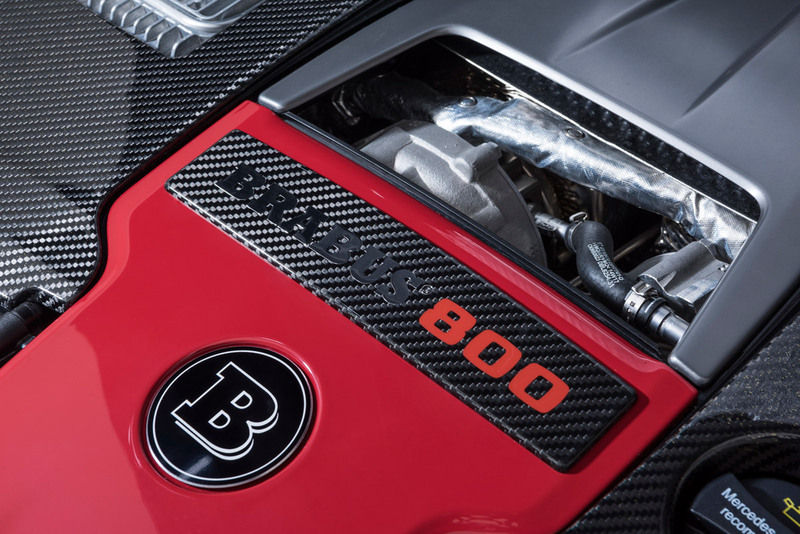 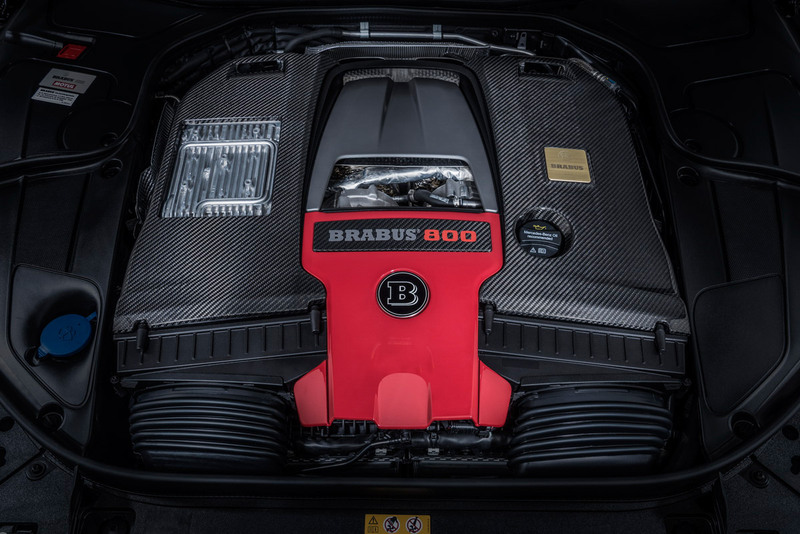 A BRABUS Vmax module that will permit even higher speeds is already in development. 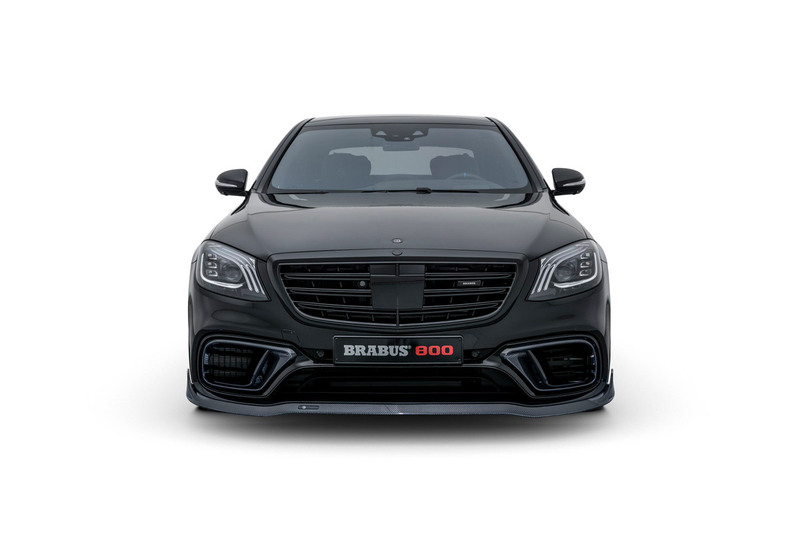 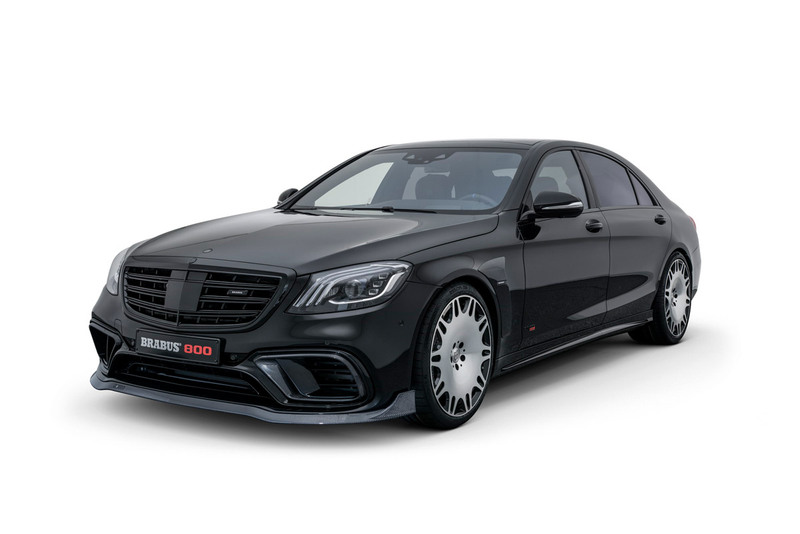 To provide a match for the high-performance character of the four-door, the BRABUS designers went into the wind tunnel to develop carbon aerodynamic-enhancement components that not only lend the vehicle an athletic appearance, but also reduce front and rear-axle lift. 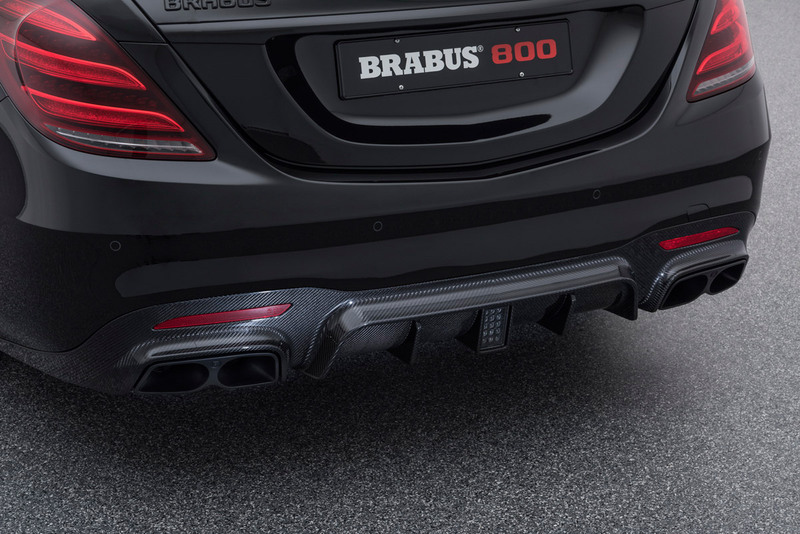 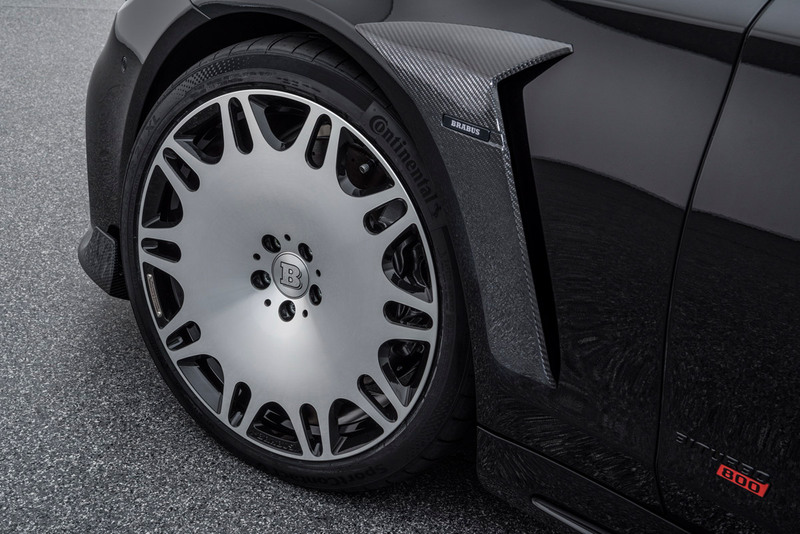 The BRABUS “PLATINUM EDITION” Monoblock M 21-inch wheels are also as brand-new as the BRABUS 800. 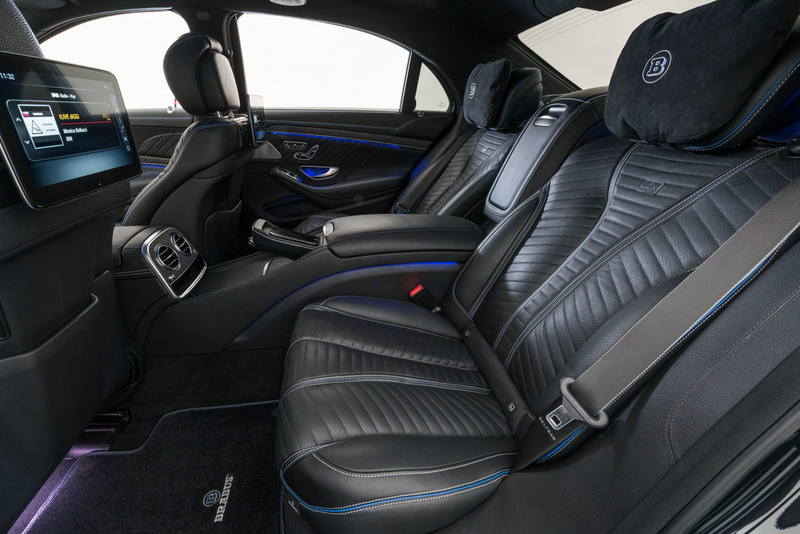 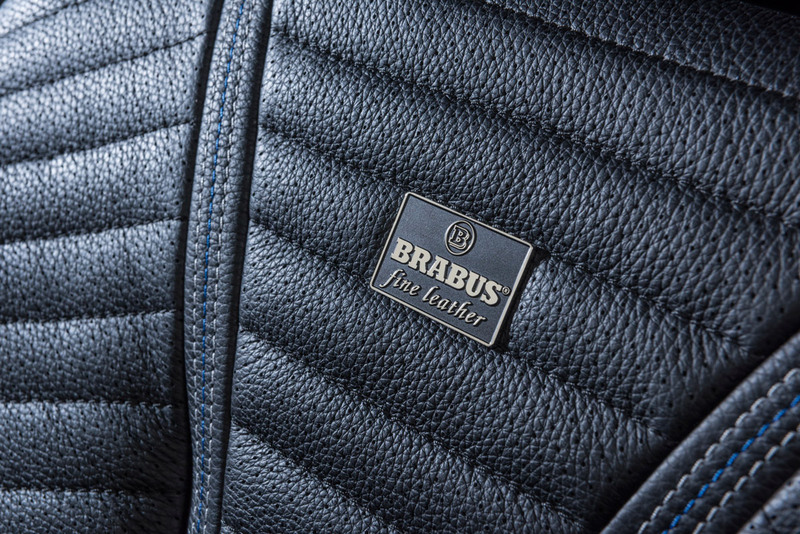 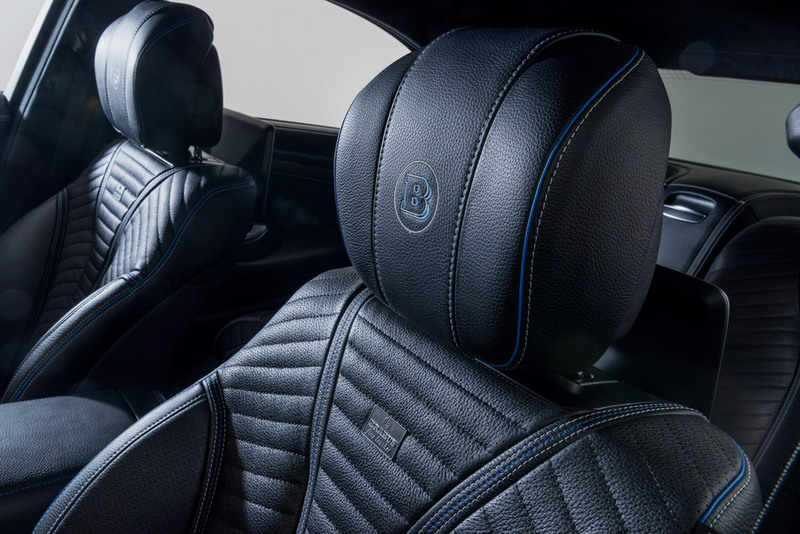 A BRABUS fine leather all-leather interior finished with consummate craftsmanship rounds off the new sport sedan.